Poster for François Truffaut’s 1966 film version of Fahrenheit 451. In the last two years, the rise of “fake news” and “alternative facts” as categories of public discourse has prompted fears of a drift towards authoritarianism in the United States and beyond. A casual disregard for truth and campaigns to discredit rigorous reporting are, unquestionably, cause for concern—especially when perpetuated at the highest echelons of power. An epistemological battle is now engaged, we are told, with the fate of democratic principles hanging in the balance. Analyses on this website (here and here, for instance) and elsewhere suggest that “fake news” is not a recent invention. But the most instructive cases of public deception may be found in fiction, paradoxical as it may seem. The essence of current debates was indeed captured decades ago by novelists. Twentieth-century dystopian works hold important lessons about the relationship between truth and history. Aldous Huxley’s Brave New World, George Orwell’s Nineteen Eighty-Four, and Ray Bradbury’s Fahrenheit 451 are especially revelatory in their treatment of the past. With them, we find that our own public trustees’ approach to the past is indicative of their commitments to an open, deliberative, and democratic society. Literary dystopias also invite an assiduous study of the past and assign historians an important political mission. In our present circumstances, as cuts to the humanities in the United States foreshadow similar developments north of the border, historical skills may be as valuable as they are rare. 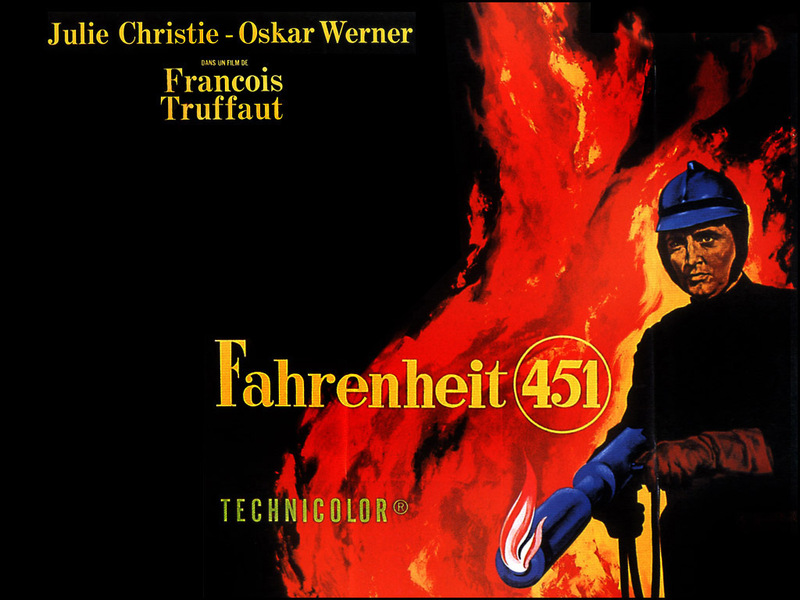 François Truffaut had it right in his film adaptation of Fahrenheit 451. Guy Montag’s line about remembrance, quoted above, does not appear in the novel, but it captures Bradbury’s message. It also does justice to Nineteen Eighty-Four and Brave New World. In all three, the erasure of the past enables the construction of authoritarian regimes. The corruption of history as both a body of knowledge and a field of inquiry facilitates the emergence of the dystopian world. That totalitarianism disregards facts to suit its purposes requires little substantiation. Dystopian novels go farther by revealing that such regimes need to erase the past. History is problematic because it suggests alternatives: other, potentially better ways of doing and thinking. When done honestly and critically, it undercuts claims about golden ages or continuity that help to prop specific political regimes. These novels also show that dehumanization is not always physical: to take away a person’s past—and thus their identity—is an affront to their dignity and political legitimacy. In the end, “to catch up with the remembrance of the past” can only be a revolutionary act under this type of epistemological environment. To do so may not seem so bold in the real world of 2018, but it remains essential to political openness, good governance, and constructive public discourse. In this world, following a period of war and devastation, society chose stability and happiness over freedom, chose to revel in consumption and material comforts—and to that end entrusted the government with great powers. Suppression followed, for new ideas might cause unhappiness, dissent, and disorder. Indeed. It may seem ironic that the erasure of the past is a corollary to anxiety about innovation. But the past is dangerous for the alternatives it offers. If it cannot be edited conveniently, it must be destroyed. Thus this “New World” entailed “the closing of museums, the blowing up of historical monuments . . . the suppression of all books published before A.F. 150.” What remains of history in people’s consciousness has been made to inspire revulsion. “[M]ost historical facts are unpleasant,” we are told. Nineteen Eighty-Four recalls Brave New World in many respects. The setting is much darker, however. To most residents of Oceania, there are no earthly pleasures to provide escape or solace. Big Brother is not a genetic engineer; citizens’ behavior is dictated by the external constraints of want and fear. Ideas became dangerous, for they led to doubt and debate. “We stand against the small tide of those who want to make everyone unhappy with conflicting theory and thought,” Beatty adds. The result is plain: a functionally illiterate society, immersed in mindless entertainment, unable to check its government because it does not have the intellectual tools. But Montag, like Winston Smith, chooses to look back. One of his accomplices explains, “We’re remembering. That’s where we’ll win out in the long run. And some day we’ll remember so much that we’ll build the biggest goddam steamshovel in history and dig the biggest grave of all time and shove war in and cover it up.” Such fighting words must make us wonder how history could be anything but political. By reading, inquiring, and keeping a diary, our protagonists are committing crimes. By seeking the past, they are bucking state-sanctioned dehumanization—the forced abasement of human faculties and human potential. This is one of the functions of destroying history, whether to rebuild it or to project an image of uninterrupted, unbreakable continuity. In all three settings, people are mere consumers, servants of the state, or both. There is no rich civil society, no vibrant cultural life to help individuals negotiate their relationship with the world. Bernard Marx is told that Shakespeare has been banished, “[b]ecause it’s old; that’s the chief reason. We haven’t any use for old things here.” “[C]omfort and happiness” have supplanted all forms of art and inquiry. Perhaps we may better understand by turning to Smith who buys a piece of corral in glass because it has no immediate purpose. It was kept because it is beautiful, and for that reason it recalls a different time. The act is, again, revolutionary. We may be far from the dystopian scenarios of Huxley, Orwell, and Bradbury, but access to and ownership of the past remain central to our political discourse. Every day we are asked to project our current norms and values onto the past, thus legitimating who we are and what we wish to accomplish. The agenda corrupts the exercise. Actually, change is part of the very essence of history as a discipline. The moment the past is taken to be a template or a mirror for the present, history loses its purpose. We must therefore preserve a sense of the past without blindly abiding by select rituals and symbols. In our present circumstances, we must all be Marx and Smith and Montag. We must all “catch up with the remembrance of the past,” but such as to depict former times as they actually were. This duty is made all the more important and pressing as new technologies threaten to enable a complete rewriting of the past. As historians we can also afford to be bolder and to conceive of our purpose and responsibilities in much broader terms. While guarding the public mind from the manipulation of the past, we must also mobilize our skills and learning to protect the common ground of healthy and truthful public discourse. Journalists and public officials need us. More than ever, so do students, if they are to make sense of the world in which they live. In the twenty-first century, we must all be historians—that is, apply historical skills in our daily lives. We must all be revolutionaries in the making. Patrick Lacroix is an instructor at Bishop’s University in Sherbrooke, Quebec who researches U.S. religious history, Franco-American studies, and Canada-U.S. relations. He has published his research in Histoire sociale/Social History, the Canadian Journal of History, and contributed articles to the History News Network, HistoireEngagee.ca, the Montreal Gazette, Le Droit, and the Washington Post.